But to help you hear some options we have checked out, some recommendations and other ideas. We recommend booking with Norfolk Island Travel Centre – a one stop shop for your flight and accommodation bookings. They have negotiated special deals for our group in some cases. Book early – flights and accommodation generally tend to increase over time. Or book out altogether. Norfolk Island Travel Centre has negotiated special deals for our group – for flights and accommodation. They are holding a limited block of seats with Air New Zealand from Sydney at prices $200-$300 less than the best available listed airfare. Flights are also available from Brisbane and Auckland or any other city connecting through these cities. They also have limited accommodation and car hire packages available at great rates. To be eligible for these group rates you must have already booked or be prepared to book within 2 days the Norfolk Island conference itself. Connecting flights to these three cities from other cities can be chosen. For those going from Sydney on Monday (likely for most also doing the 6th cruise) may find it cheaper to return to your home city via Brisbane or Auckland. You can book any time you wish as long as there are flights available – and rooms for accommodation. Special prices and benefits for our group for bookings through Norfolk Island Travel Centre, who can also handle your airfare bookings. 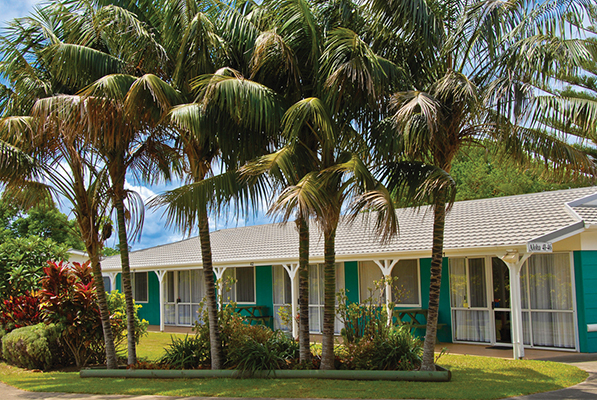 Situated in Burnt Pine Township, Norfolk’s shopping and café district, these fully self-contained one and two apartments offer the makings of a pleasant holiday with swimming pool, shaded BBQ area complete with modern gas BBQ’s and picnic tables, guest laundries, departure lounge, and reception office available for all Hibiscus Apartments guests. With the bowling club, supermarket, cafes and restaurants literally a minute’s walk from the front entrance, Hibiscus Aloha is popular with those who want to be close to all the amenities while still being able to enjoy the peace and quiet of the private landscaped grounds. Inclusions: Car hire including surcharge – Petrol usage is additional cost, return airport transfers, half day Island Tour. Some tours offer bus transfer to and from, usually with a nominal cost. But most accommodation also offers attractively priced car hire bundled with your booking – or an option you can choose at an attractive rate.